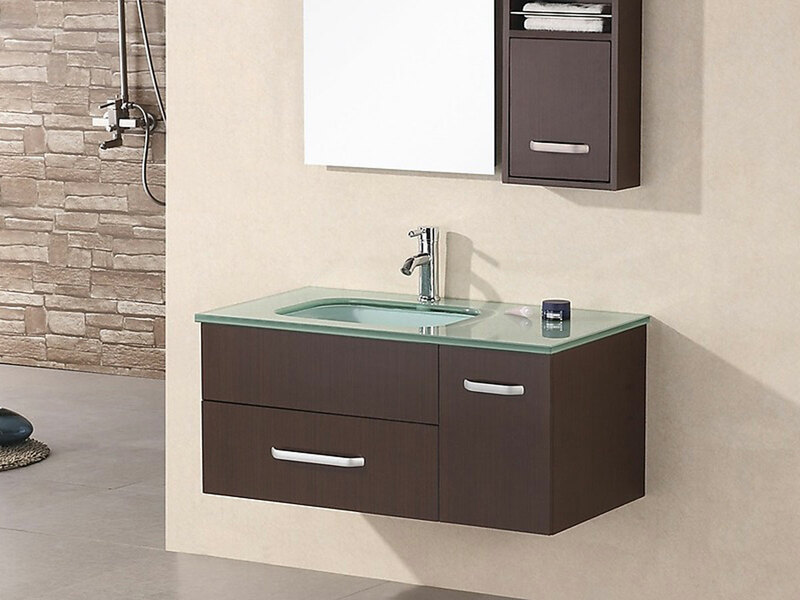 The wall-mounted design of the 35" Christine Wall-Mounted Vanity makes a difference when it comes to redesigning a smaller bathroom. 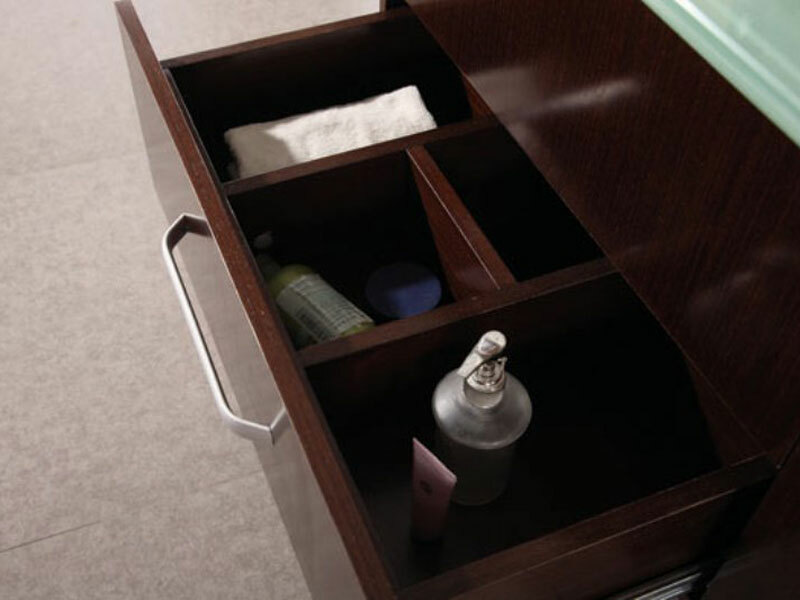 Featuring a solid venner panel cabinet with a Toffee-grain finish, the Christine Vanity offers a sophisticated style that gives you a single-door cabinet and pull-out drawer of storage space. 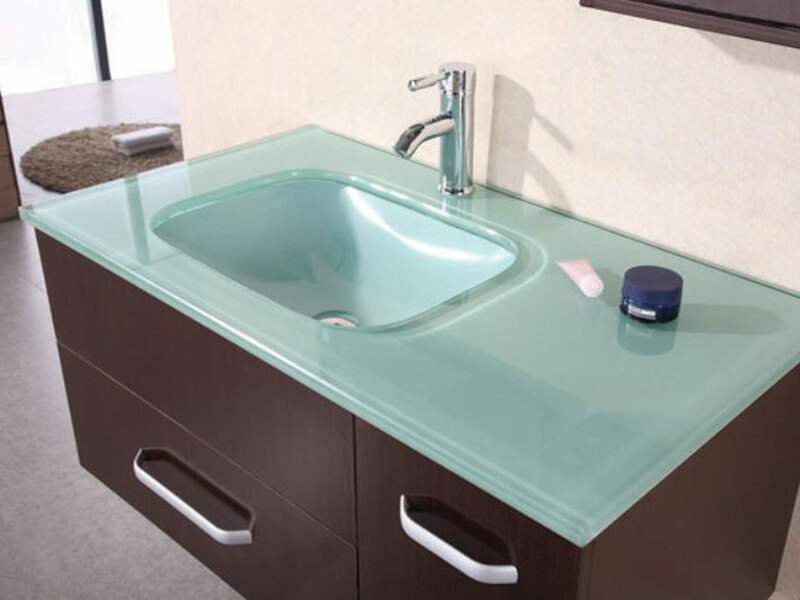 The top is made from tempered glass and is matched with an undermounted sink made of tempered glass as well. 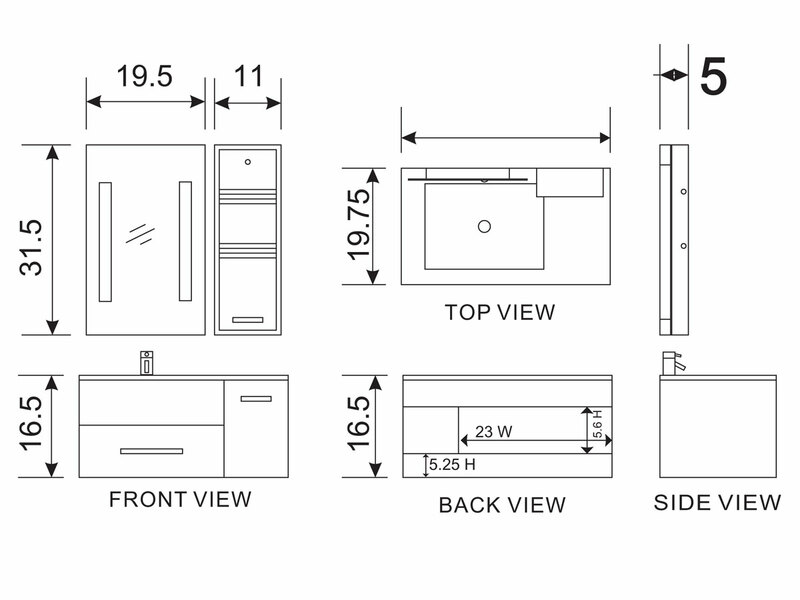 The cabinet door and drawer front is accented with Satin Nickel finished hardware for a glimmering finish. 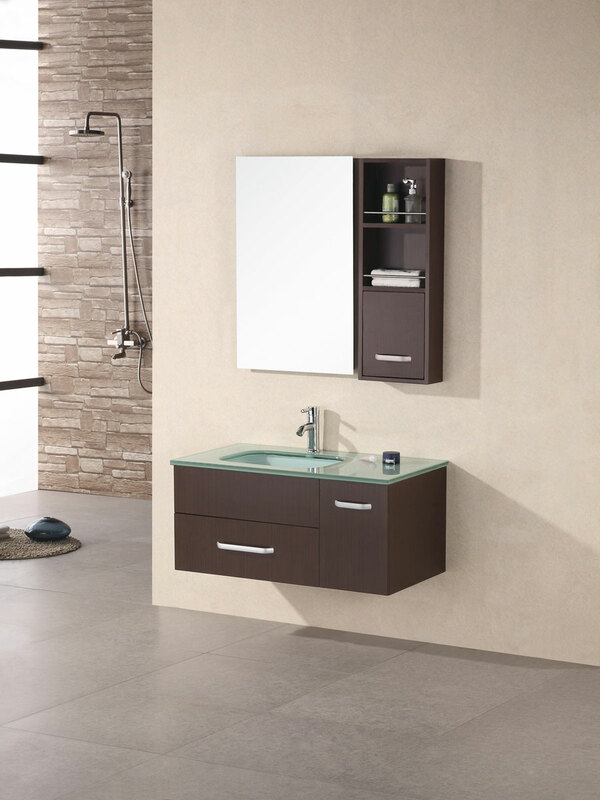 The Christine Vanity also includes a matching mirror and wall shelf.